"We expect to have this item in stock on or before May 5, 2019"
Our durable, long-lasting 33' x 63' Arctic Armor safety pool cover is strong enough to support your entire family, yet light enough to put on or remove from your pool in five minutes or less. Arctic Armor covers are made of super-strong two-ply mesh with a break strength of over 4,000 lbs. During use, the safety cover is held in place with brass anchors. These anchors recess flush with the deck when the cover is not in use. Rest assured that your children and pets are protected from accidental drowning. 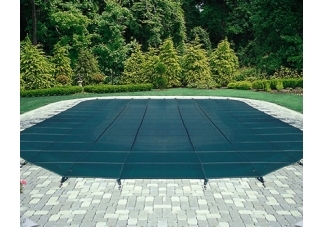 In addition to its safety features, the Arctic Armor pool cover affords excellent winter protection for your pool. Its fine, lightweight mesh allows rain to seep through but screens out leaves and debris. Spring clean up is a snap because no water collects on the cover. The safety cover comes complete with brass anchors, stainless-steel springs, installation tools and a storage bag. Backed by a 12-Year Warranty. All accessories for installation are included. 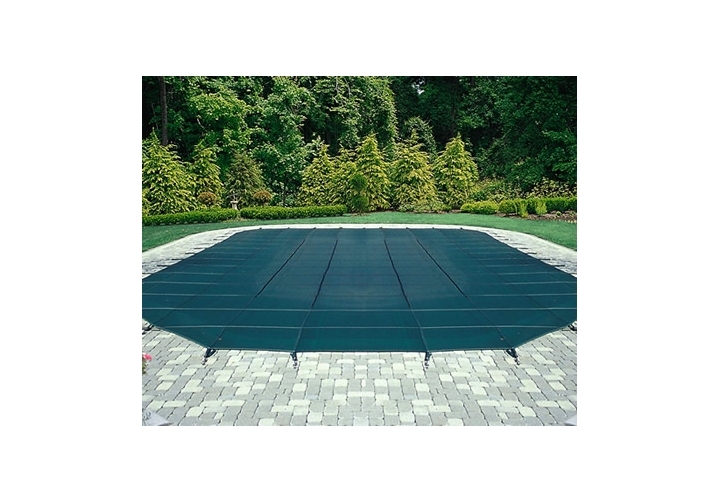 There are currently 0 reviews for the 30' x 60' 12-Year In-Ground Mesh Safety Pool Cover. Ships in: This item is currently out of stock. We expect to have this item in stock on or before May 5, 2019.